With harvest 2018 finally in the books and the crops safely in the bin attention now turns to making sure it stays in good condition. Angela Brackenreed is an agronomy specialist in Manitoba with the Canola Council of Canada. She says it is important to keep a close eye on your canola. 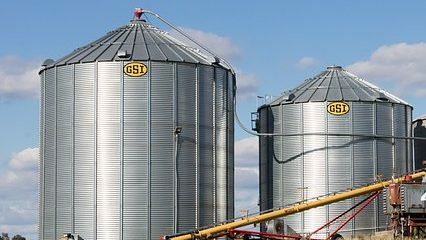 “The issue is quality deterioration, heating in the bin coupled with high green seed counts that people are experiencing and as soon as that temperature starts rising a bit it’s the perfect storm for heating to happen,” said Brackenreed. If the canola does start to heat there are a few things you can do to stop it. Brackenreed says given the crop in many places was taken off with a higher moisture level than normal, it may be more important than in years past to watch it. Brackenreed says 2018 was a difficult harvest for farmers across the prairies as rain and snow kept them from turning a wheel for over a month in many cases.